quality tools. perform slot better than any other brand I have used. you get what you pay for. built to last. I have always had bahco spanners, Great quality! Got the 8 inch and the 6 inch spanner. Nice and slim for getting into tight spaces. Would definitely recommend. 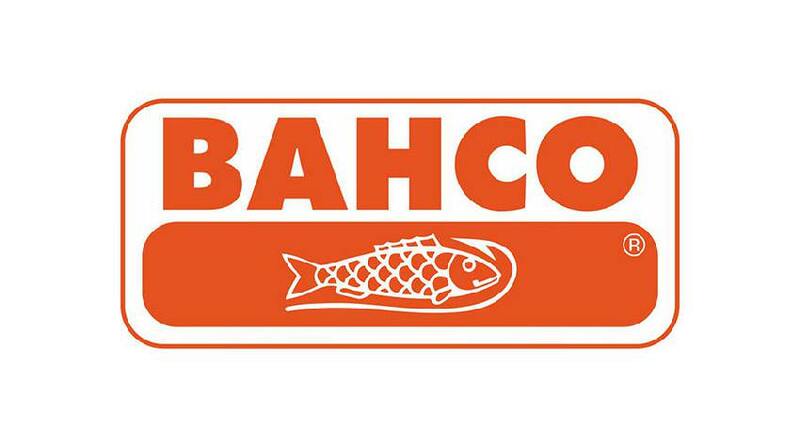 Bahco have got the best adjustable spanner’s and grips on the market. Perfect every time, no slip, no roll back, no having to hold down that slider whilst you’re trying to actually do some work! More than a tool. Bahco is my go to manufacturer of choice. Build quality is second to none. Had my adjustable for years and never let me down. Purchased their socket set the other day and can not fault it. Use the Bahco socket set pretty much everyday. Feels very high quality and really like its tough plastic casing. Was also very reasonably priced. excellent tools great value for money great quality just purchased new vde screwdriver set superb. great product range. Had bought the small ratchet bacho set. Found it fantastic to reach the small need to get to places but if the extension bar was slightly longer or two different sizes would be absolutely spot on for what I use it for. All my adjustable spanner’s are Bacho. Great quality and robust. Great value for money. Good range as well. Highly recommend. Can’t beat a Bahco spanner, I’ve had them since I was an apprentice, only ever needed to replace because I’ve lost them! I have the 1/4 mini ratchet which has a permanent place in my service tool kit, which i use on boiler breakdowns and general boiler service work. Its small enough to get in tight spots and you can feel the build quality is excellent while using it. All of the bahco tools I've used have worked well and are good quality. From the saws to the spanners. The adjustable spanners are superb. In my opinion the bahco brand is right up there with the very best in terms of tool quality. I have the adjustable spanners which never slip and the range in sizes ensures you to be equipped for any situation. The rachet sets are brilliant too, overall very impressed. Fantastic Quality, all my adjustable spanners are Bahco as are all my pump pliers and most of them are 15 + years old and still working to this day. Excellent tools very high quality. I always buy these screwdrivers. They tend to last longer. Good to use . bahco saw set, socket set, screwdriver set. Great feel to these tools . I found the screwdrivers better than the CK range andchot no probs with the saws . very pro feel all round. Great pipe slices, only one for me now as they don’t leave such a burr on pipe. Small socket set brilliant. Bahco Adjustable spanner’s are the only one’s I will use! Love Bahco adjustables. These are by far the best out in the industry. But unfortunately the same can't be said about their grips. So I'll just stick with the shifters from bahco from time being . Just brilliant quality for your money , best adjustable spanner’s there are for the price. wouldn’t be without mine , if you look after them they will probably last forever ! Excellent adjustable spanners at excellent prices. Love it. Their Hex products are pretty neat also. 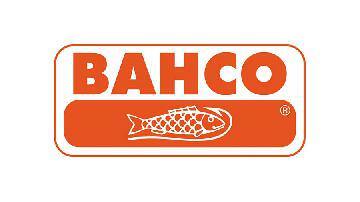 My boxes are filled with Bahco products, think I'm addicted! Pipeslice are the only ones for me, blades are a little pricey tho. Small socket set fits in your pocket is my emergency goto tool-wouldn't leave home without it in the van or on me bike. Top quality products which are good value for money. Used this companies adjustables for years and never had a problem. Had a set of the adjustable for 4 years now, had other brands which had half as much use fall apart. These have never missed a beat. Great company and great quality of tools I have a combination square which is solid never lets me down whatever I need it for. Also have their saws which are great too lovely and sharp and last a good while. Bahco tools are brilliant I wouldn't even consider buying any other brand of adjustable spanner. I've currently got two that I've had for 10yr! Bacho tools are solid, rugged tools that last. Well worth investing a bit more money to get decent tools. Everyone one at B.Brill has the Bacho spanners. Best out there. Not expensive and they last. Definitely recommend them. Got back saw both large and junior and loads pairs of adjustables, never let me down very good build quilty hacksaw blades last decent amount of time and just feels comfy to use!! Have been using my spanners for 10 years and must have around 6-7 of them. Brilliant tools and great quality. Well what can I say. I love my baco kits. Priced well and robust. The carry boxes are strong and durable. The tools are brilliant and because of there orange color there easy to spot. They invented the adjustable spanner, and it shows. Excellent tools. Particularly like there hacksaw and blades. Also there socket sets. Fantastic tools. I use the adjustable spanners and pliers. The quality of the tool is brilliant. I also use the small socket set which is excellent for servicing and repairs on boilers or even on the van. I use adjustable spanners and a smal socket set for my boiler serviing very valuable to me a hard to do job without it. Excellent quality tools at a fairly good price. Definitely made to last, especially the adjustables and socket sets. The socket sets are the best I've come across so far have all three (1/4, 1/2 and 3/8). Bahco make some amazing stuff. My first ever pair of side cutters (after the I just started cheapos) where bacho and I flat outlet refuse to but another brand. I have borrowed some other bands and the pail in comparison! Love em. Really like almost all products made by this company. High quality materials and very long lasting hand tools! apart of pipe cutters ;) Overall highly recommend. Great products that you can rely on, from the grips to the small socket era that they do, which are great when changing parts on boilers. I've been buying Bahco tools for 20 years due to their quality. These are by far the best tools on the market. The only adjustables I ever use, wouldn't go with any other brand. Great value and a top quality product. Pure quality. Solid well built reliable tools. Everything you could imagine, they make and make it well. Still have my very first set of bacho wide jaw shifting spanners. Never had to contact customer service which I see as a bonus. I only use Bahco adjustable spanners and I don't think I would be alone here. ANY OTHER SHIFTER IS A POOR IMMITATION! Use their 6 inch adjustable several times most days, can't fault it, jaws stay set where you put them. Great kit. Can't get better than bahco for adjustable have every size available. Brilliant kit. Well built and will probably outlast me! The best adjustables and grips you can buy! I've tried fat max etc.. and the quality and performance just comes nowhere near that of bahco had my latest adjustable 4 years now, and it's just as good as it was when it was first bought! Basically when I need a new spanner I will and have always used bahco, the standard now. Quality build, wide jaws, stubby handle, just a really good tool, because of this I would definitely try other tools that they make. Best adjustable spanners on the market, been using them since I was an apprentice and use them on a daily basis. I have a set in each of my tool kits and they are always the first tool I pick up when tightening a fitting. It's good finding a tool which you know is going to last and know is not going to slip and ruin your knuckles. Swear by my wide jaw shifting spanners! Had the 7" and 9" for 5 years and still use them every day. They have got me out of more than a few holes! I always use Bahco Saws. They stay sharp much longer, the quality is great and they are excellent value for money. Quality gear! I have the adjustable spanners and socket set, worth spending the cash on the adjustables to prevent smashing your knuckles in. The shifters. Pricy, but well worth it. Would I be without them? No I would not! Definitely recommend splashing out on these. Great reliable spanners that will last you a lot long than most on the market. Excellent build quality and durability. Top quality spanners and socket sets. Wouldn't use any others. Will definitely be getting more bits as an when required. I have a few Bahco items... Miniature socket set and adjusible spanner to name two. The socket set is good, but I prefer the Wera Zyzlop miniature and the adjusible spanner rusts very easily. Usually they're premium products at a premium price, but Amazon frequently discounts them. I absolutely love this gear, quite pricy but you get what you pay for. My tool bag is full of it. The hacksaw blades last for years! Relatively expensive, but then you get what you pay for and Bahcos are great quality. I have a minature socket set and also the deep version of the same. Also the ratchet screwdriver which i love although the cassette for the bits won't come out now. I wouldn't use any other spanners. Still going stong after 5 years of getting some hammer. Good value for money. I use my bahco spanners every single day. I'd be lost without them. Why would you want to buy anything else. 10 Years in this trade, never used anything other than Bahco as I was taught as an apprentice to buy the best. They last, reasonably priced, real quality tools. Bahco wide jaw shirt handled spanners, no good heating engineer should be without one. By far the best adjustable sonnets in the market. I also own three different sized boxes of ratchet sockets, a large one for the garage, a small one in my tool bad and a miniature one I keep in my back box on the motorbike. Fantastic gear. I've been using Bahco adjustable spanners for over ten years. From what I've seen so far, they are the best quality adjustable son the market. Excellent products, I've got screw drivers, wire cutters and adjustable spanners, well made tools would recommend !! can be on the pricey side but if you shop around and can hold out for a deal then it's worth it. Always good quality stuff from bahco, adjustable spanner and socket sets and the best on the market in my book. Great manufacturer. Top quality tools and well worth the price tag. The best adjustable spanners money can buy. Even the thin nose never let go. My Stanley fat max set would split my knuckle once a month at least. Had these 2 years and haven't had any accidents. Touch wood. Also are you planning on exhibiting at tool fair this year? And do you have plans to extend warranties as they seem short? Do you have any new tool ranges coming out soon and if so, what? What’s the next phased plan for amp age for battery tools what do we have to look forward to in that sector?